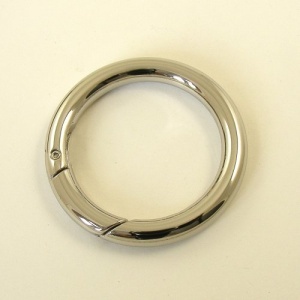 This sturdy and attractive nickel plated steel ring has a sprung opening. 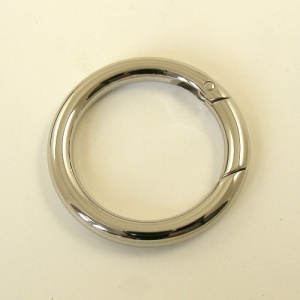 It can be used to instantly attach a strap to a handbag. Such a simple but useful design!